Each prosthesis we make is customized to meet individual patient's needs. 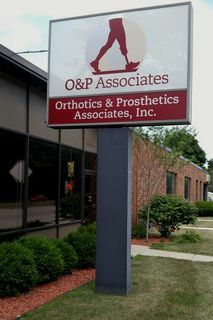 Our prosthetist, Jake Wood, works with companies worldwide to continually individualize state of the art, medically necessary, advanced prosthetics. Our unique prosthetic program begins with the patient. We believe the patients have an integral role in determining their success. We will empower you with the knowledge you need to make decisions for your prosthetic needs and a successful rehabilitation program. ​Our team of skilled laboratory technicians are dedicated to supporting our patients with the highest quality products and personal service.